The latest Bminer 14.2.0 has just been released with experimental support for Cuckatoo31 (C31) algorithm being used by GRIN for Nvidia GeForce GTX 1080 Ti GPUs with claimed performance of up to about 0.90 G/s on GTX 1080 Ti with stock settings. 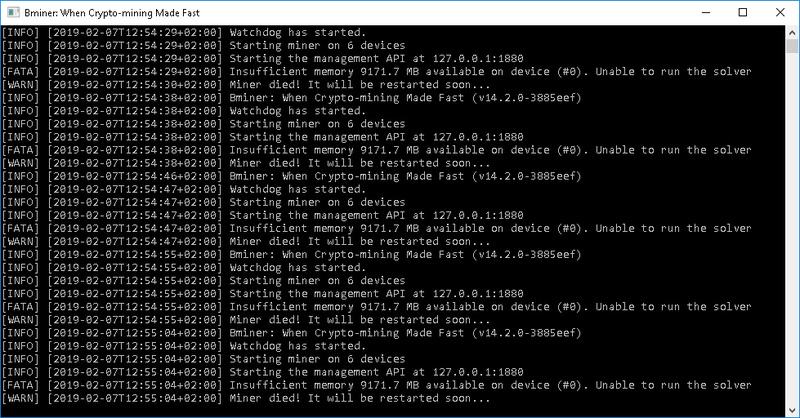 This seems pretty good, however we are currently unable to make the miner work properly under Windows 10 as we are getting an error about insufficient memory available on device and it seems other people are reporting the same issue (it is experimental support). Do note that GRIN mining support on NiceHash is not yet available for Bminer and that goes for both Cuckaroo29 and Cuckatoo31 algorithms, so you can instead use the latest GMiner for NiceHash.